Beloved wife of the late Michael F. Meskill, native of Ballymac, Co. Limerick, Ireland, and the late Patrick Murrihy, native of Doonbeg, Co Claire, Ireland. Loving mother of Michael “Mickey", Daniel “Danny” (Nancy), Patrick “Paddy”, Eileen (Phil) Czerwinski, Mary (Mark) Schultz, and Anne (Dean) Jackson. Cherished grandmother of Mike (Tina), Jim (Krystina), Michelle Meskill-Worth, Mary (Eric) Ferry, Mark (Kate), Melissa (Paul) Hobe, Laura, Meghan (James Hayes), Kevin (Jill), Patrick “Paddy” Malone, Danny Czerwinski, Maggie (Pete Chikerotis), Catherine (Kevin) Hu, Michael Schultz, and Michael Malone. Proud great-grandmother Mike, Danny, Maryssa, Krista, Aidan, Brennen, Brett, Brady, Haley, Evan, Drew, the late Kelsey Kathleen, Jimmer, Sydney, Tyler, Lyla, Wyatt, and Madelyn. Caring great-great grandmother of Aiden. Devoted daughter of the late Michael and late Anne (nee Liston) Biggane, immigrated from Ballagran and Newcastle West, County Limerick, Ireland. Beloved sister of the late Jack (late Catherine “Sis”), the late Bridget, the late Anne Marie (late Russ) Brown, the late Michael (late Patricia), the late Margaret (late Thomas) Ryan, and the late Maurice “Moss” (Marvella). Beloved sister-in-law of the late Sr. John Helene “Mammie”, the late Danny (late Kitty), the late Peggy (late Bill) Walsh, the late William “Bill” (late Mary), the late Kitty O’Brien, Sr. Gerelda “Josie”, the late Jimmy (late Esther), Paddy (late Ena), John (Bridie), the late Sr. Ellen Mary “Eily”, and the late Bridget (James) Reinhart. 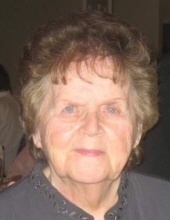 Second mother to Teresa Eisel (nee Walsh), and Catherine “Cathy” O’Shea (nee Ryan). Fond aunt of many nieces and nephews. Dedicated friend to many. Our deepest gratitude to Mom’s caregiver, Maria and the Vitas Hospice program. Loyal Member of The Teamsters Local Union #710. Lifetime member of Chicago Gaelic Park. Past Officer of Chicago Gaelic Park Lady’s Auxiliary. Member of The Clare Association of Chicago. Honored to be born and raised in Canaryville. Graduate of St. Gabriel. Funeral Monday 9:15 a.m. from the Robert J. Sheehy & Sons Funeral Home, 9000 W. 151st Street, Orland Park, IL to St. Francis of Assisi Church, Mass 10:00 a.m. In lieu of flowers, donations made to Misericordia Heart of Mercy, 6300 N. Ridge Avenue Ave., Chicago, IL 60660 would be appreciated. "Email Address" would like to share the life celebration of Catherine Meskill-Murrihy. Click on the "link" to go to share a favorite memory or leave a condolence message for the family.